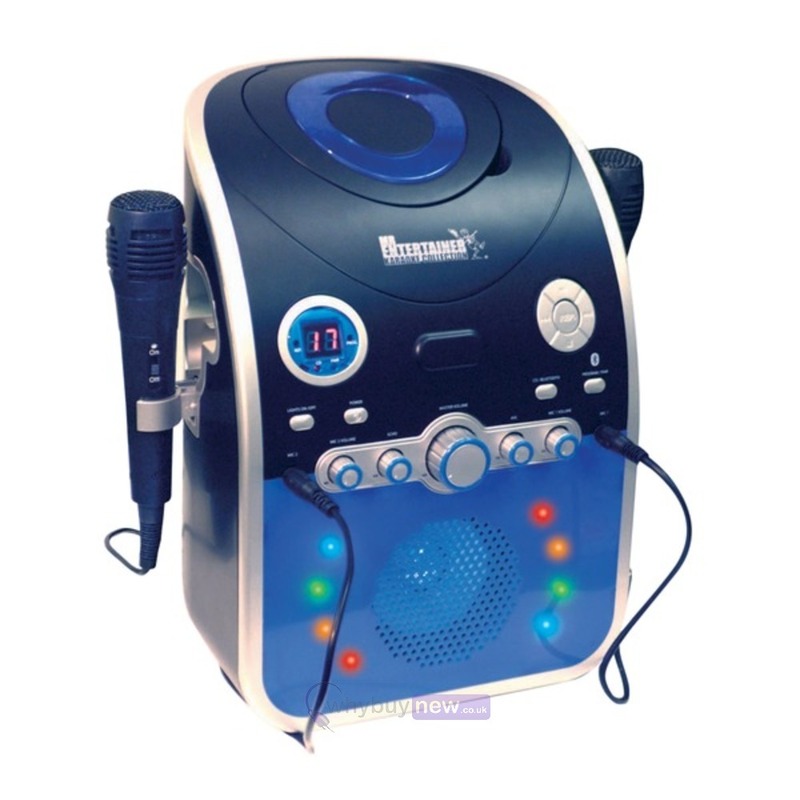 This Mr Entertainer portable home CDG Karaoke Machine is Bluetooth compatible & features flashing LED disco lights. 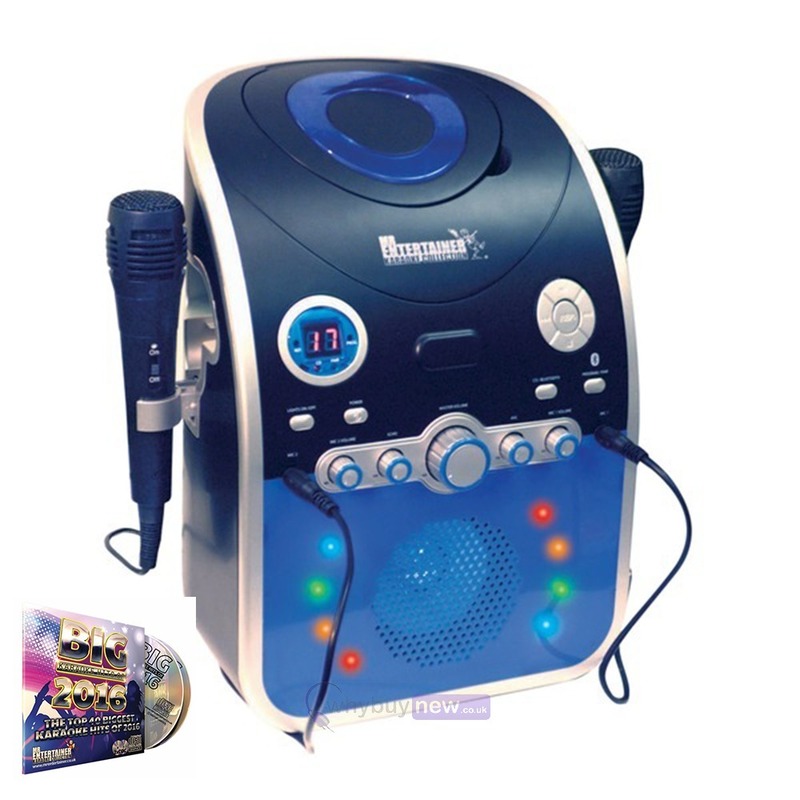 This fantastic value karaoke machine is great for house parties and comes with two microphones and one CDG with the biggest hits from 2016. Bring back classic karaoke with a modern twist. This machine from Mr. Entertainer helps you bring back the contemporary classic concept of karaoke but this time it's possible from the luxury of your own living room. Ideal for use at parties due to it's portable nature, the two microphones included offer the option of setting up some dazzling duets. The disco lights offer a retro disco feel to your performance. 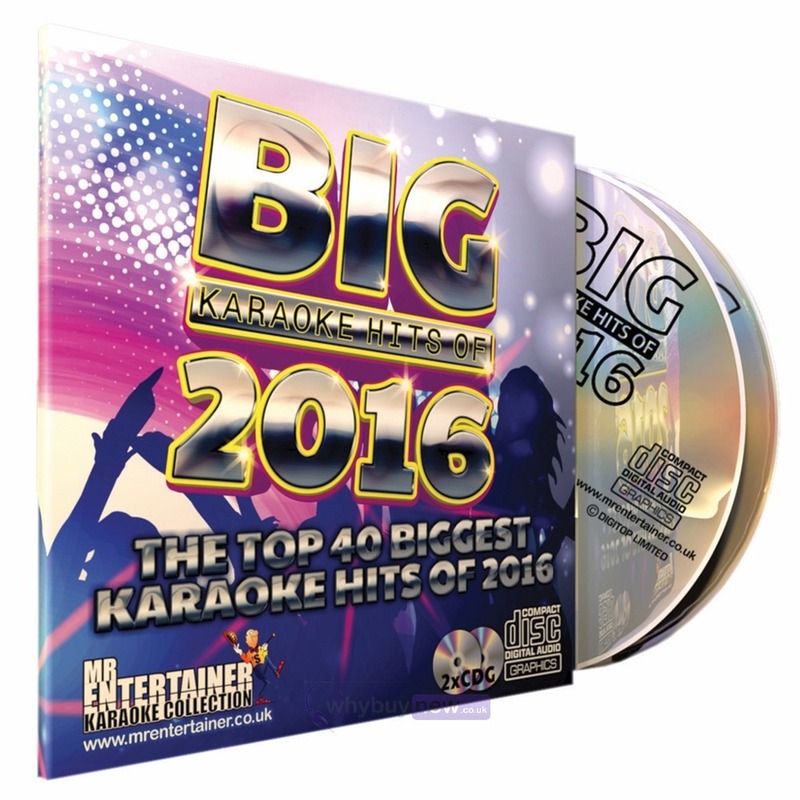 Includes 1 x Double CDG Mr Entertainer Big Hits of 2016. 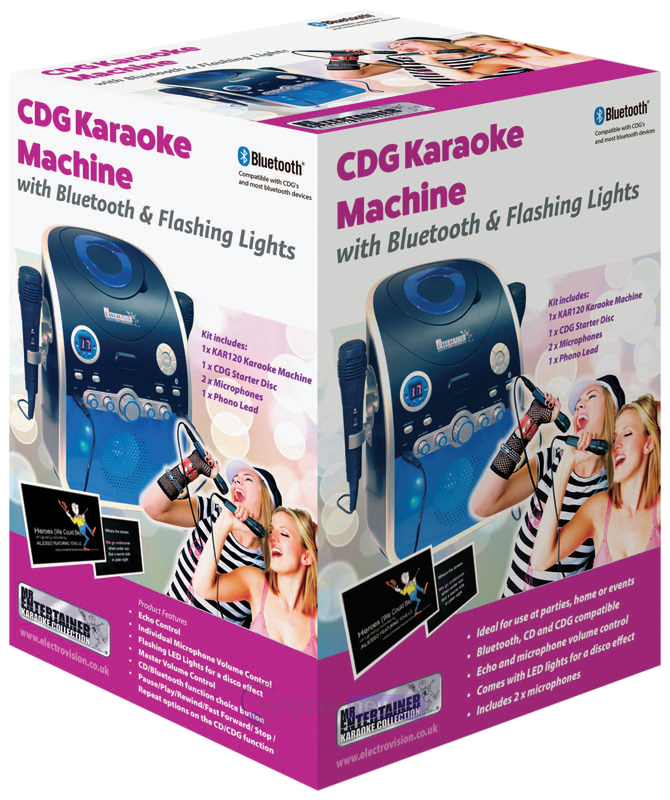 Here we have the Mr Entertainer CDG Karaoke Machine with Bluetooth & LED Lights in brand new condition and in B-Stock. The B-Stock versions would have been on display at a training evening or trade exhibition only and will come boxed 'as new' with all accessories and a 1-year warranty. Using the AV cable (RCA type) to connect to a TV. With this option simply insert a CDG into the system and view the lyrics as the backing tracks play. 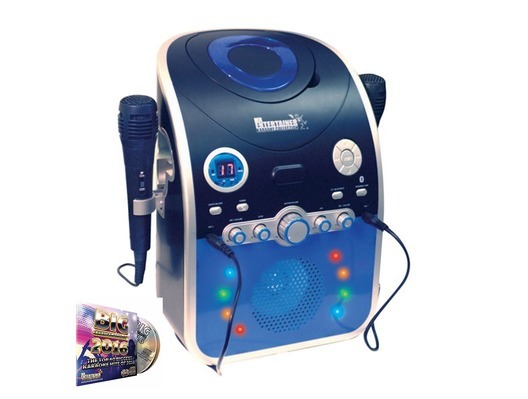 Simply use a karaoke CD with backing tracks included and sing along to your favourite hits. Sync to a bluetooth device such as a smartphone/Ipad or Mp3 player and sing songs directly from your own music library.